Top Real Estate Markets Weekly Webinars | Investment Revenue Realty Inc. The key to strategic investing is education. Join an Investment Revenue Realty webinar to find out more about the real estate investment opportunities that might be right for you. 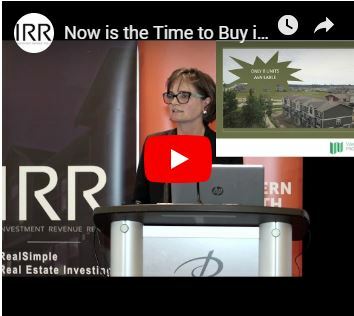 Learn why the Northeast BC region is poised for explosive growth and how you can take advantage by investing in real estate early. Western Canadian Properties Group is offering brand new, positive cashflow investment properties with a “true” turn-key rental management option to help investors buy and hold hassle-free. There’s no point putting capital into an asset or venture if the organization recommending that investment is unable to properly explain the reasoning behind it. At IRR, we have the ability to make the reasons for our recommendations clear. It all begins with our Webinars—the seminars we present online. These learning experiences have built a solid foundation of understanding and trust for many of our current investors. Answers: Ask for clarification during the Q&A period we hold at the end of each session. After you’ve joined us for a Webinar, you might be ready for one of the in-person workshops we hold frequently. Find out more about those here.